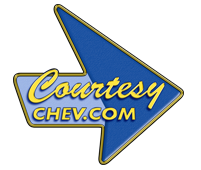 Courtesy Chevrolet helps keep San Diego moving! We are a family-owned and operated dealership in business for over 50 years. 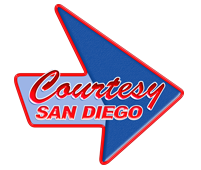 We serve the cities of San Diego, La Jolla, Escondido, Chula Vista, El Cajon, Carlsbad and the surrounding communities. We typically keep around 300 combined New and Used vehicles in stock to ensure you have adequate selection. For your financing needs, we have a dedicated Finance team who works with many local and national banks and lenders. We will work hard to secure the funds you need for your next vehicle purchase. Financing here is easy and convenient. Give our finance team a call at (877) 295-4648 to go over your scenario or click the button on the left to access our secure finance form. 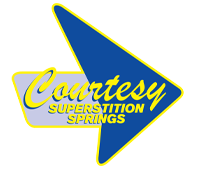 When you arrive at our Service Department, you will find the accommodations clean and well-lit. We have complimentary Wi-Fi internet access, HD TV, enclosed children's play area and free coffee! We are a huge facility with 5 Service bays so we can meet your needs in a timely manner. We have a courtesy shuttle from 7am to 6pm to take you to your home or office until your work is completed. For extended work orders, rental cars are available. For your Body Shop repair needs, we can repair all makes and models. All our work is warranted as long as you own the car, and we have the technologically advanced equipment such as two paint booths and our frame straightener for complete Unibody and Frame repair. The safety and performance of your vehicle is nothing to gamble on. Bring it to us and make sure your work order is completed properly. Courtesy Chevrolet San Diego has all ASE and GM Certified Technicians, with 3 Master ASE Techs and one GM World Technician! We use only Genuine GM Parts and accessories when applicable. We will repair or service your vehicle to factory specifications. Give our service team a call at (866) 738-9751 for more information or to book an appointment. Courtesy Chevrolet San Diego sponsors Toys for Tots, North Park Little League, San Diego Camaro Club many local teams and charitable organizations. We are proud to be a part of this great community and enjoy the ability to give back.